As an adult, you can handle just about anything -- and that includes orthodontic treatment. But many adults choose not to get dental braces because of the time commitment. 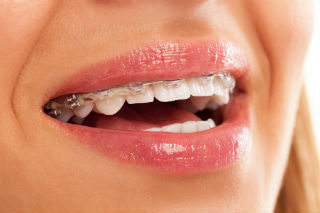 The average treatment time for braces is two years, which seems like an eternity in adult terms. After all, who wants to spend years in metal braces when you're trying to focus on your career, social life or family? Fortunately, you can straighten your teeth in as little as a few months -- thanks to Six Month Smiles®, you can get a smile makeover without commiting to long-term orthodontic treatment! If your teeth are crooked or crowded in the front of your mouth, Six Month Smiles may be an excellent solution. Speak with Dr. Barnard to see which type of orthodontic treatment is best for you.